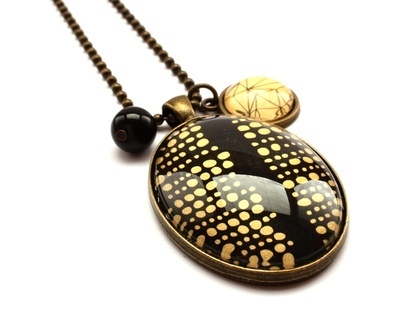 This lively necklace demands attention. 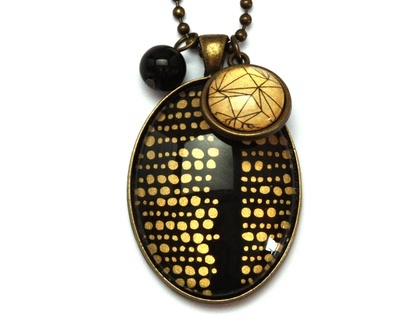 It features a hand drawn dot design in black and gold and has been adorned with a smaller pendant featuring a gold geometric design and a single black bead. 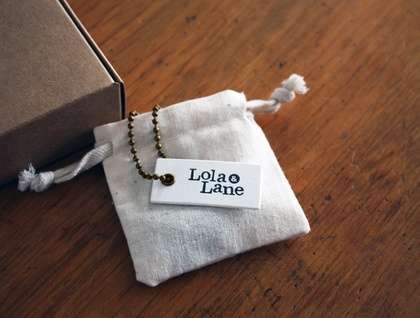 The elements are set in a solid vintage brass setting, the largest being a 4cm x 3cm oval.